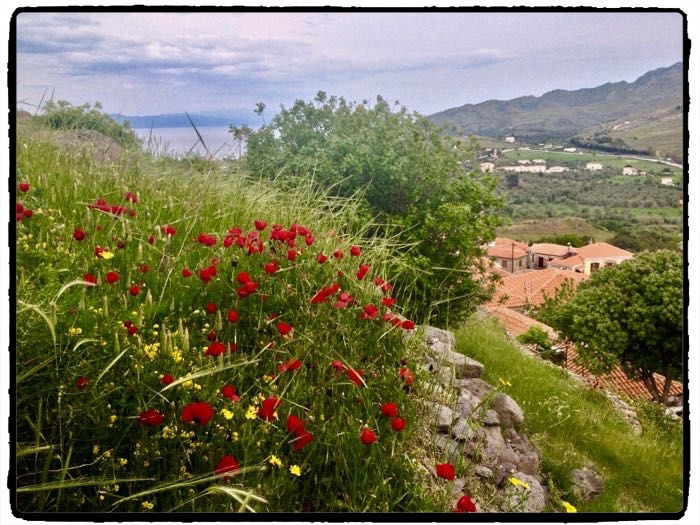 This week, the red poppies burst out all over the village of Molyvos, Greece. Red poppies always remind me of the Camino de Santiago. Are they blooming where you live?